Anyone observing the recent scandals in the United Kingdom could not fail to understand the political importance of the rewards of high public office. The British experience has been extreme but by no means unique, and many countries have experienced political over the pay and perquisites of public officials. 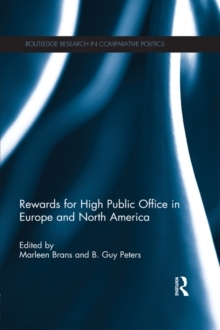 This book addresses an important element of public governance, and does so in longitudinal and comparative manner. 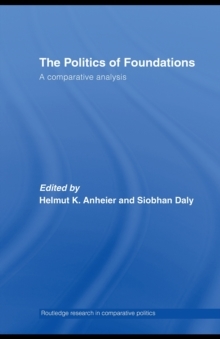 The approach enables the contributors to make a number of key statements not only about the development of political systems but also about the differences among those systems. 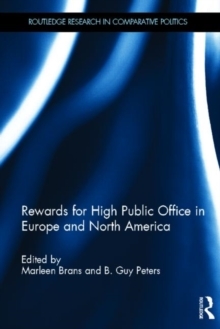 It provides a unique and systematic investigation of both formal and informal rewards for working in high-level positions in the public sector, and seeks to determine the impacts of the choices of reward structures. 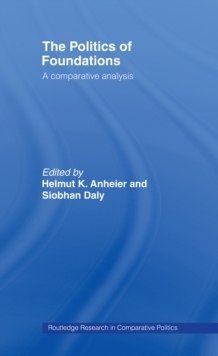 Covering 14 countries and drawing on a wide range of data sources, this work will be of great interest to students and scholars of comparative public administration, international politics and government.